Auli, Uttarakhand: Adventure and training go hand in hand at Indo-Tibetan Border Police Force’s (ITBP) Mountaineering and Skiing Institute (M&SI), Auli. For a force like ITBP which is deployed in the high Himalayas, largely in the most inhospitable conditions, knowledge of survival strategies is extremely crucial. M&SI aims to provide that very essential training for the officers and men but it also incorporates a spirit of adventure while doing so. The institute offers specialised training programmes in mountaineering, skiing, high altitude survival, rescue operations and river rafting. Activities like mountaineering, skiing, rafting etc., are associated with adventure, usually pursued on a vacation. But at M&SI one gets to understand the true value of these adventures. So, what are the unique features of the courses offered at the ITBP? “The vast theoretical knowledge and the strategies that the officers will have to use in the operations,” informed DIG Kapoor. During various surveillance operations in tough terrains, skills like these come in very handy. “Mobility plays a vital role in our surveillance operations,” he added. “Our courses are designed keeping in mind the practical challenges that the soldiers face during their operations”. However, it is a specialised programme. “This comes immediately after the basic training,” said Kapoor. While the training at this institute is a pre-promotional condition for the officers of ITBP, not every jawan gets an opportunity to undergo this course. 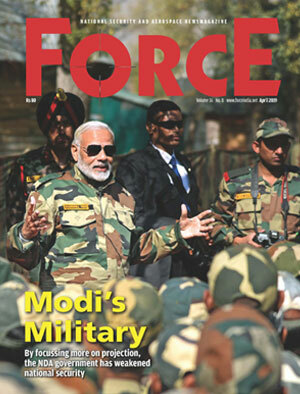 FORCE spoke to various jawans posted in high altitude regions, while some of them had undergone the training early in their career, others were trained on the job. It could be an asset to the force if every jawan, even at later stages, gets to train at this institute. While there are different training modules for officers and jawans, DIG Kapoor claimed that when it comes to practical courses on skiing, the training remains the same. The difference, according to him, is in the theoretical knowledge and the strategies to use the skills during operations. During the course of the programme, ITBP soldiers are trained in different kinds of skiing such as Alpine skiing that uses wider skis; and Nordic (also called cross country skiing), which involves skiing on flat snow-covered areas with very slim skis. The programme also trains the men and officers in using weapons while skiing.